A mere two-hour jaunt down the interstate from Scottsdale takes you back to a time when Spain claimed most of what later became the American West. 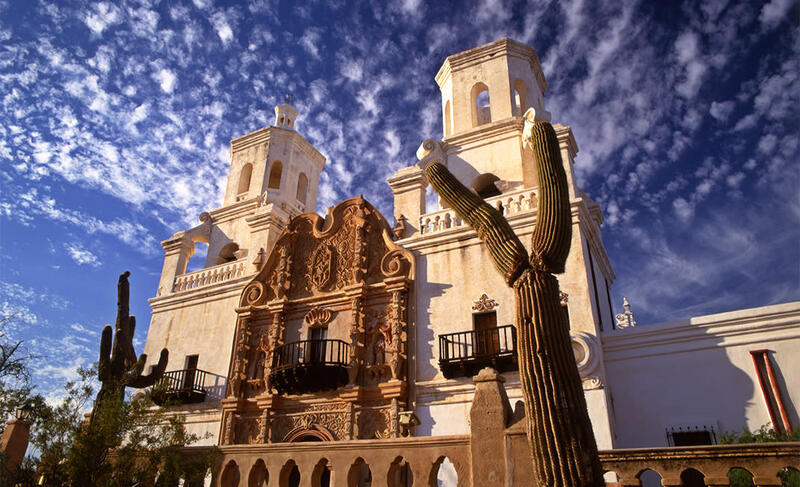 Tucson, located just 60 miles north of the Mexico border was born in 1775 with the establishment of the Presidio fortress and still retains its historic beginnings with restored missions and adobe row houses. Widely considered one the best examples of Spanish Colonial architecture, the Mission San Xavier del Bac began its charmed life in 1699. This graceful Spanish mission, which lies 10 miles south of downtown Tucson, is fondly known as The White Dove of the Desert and has long been a photographer’s dream subject. Walk about the whitewashed adobe walls but don’t miss the cool welcoming interior, showcasing fully restored grandeur and artistic details that astonish, given the utter remoteness of this place over 300 years ago. The church is open to the public from 7 a.m. to 5 p.m. daily. 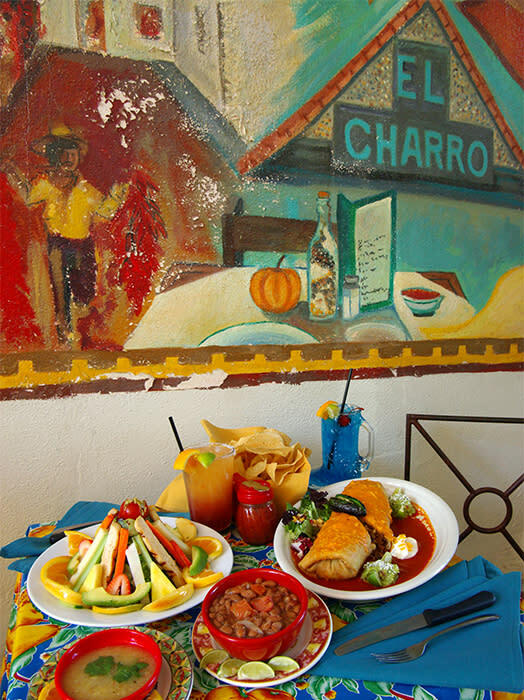 After spending some time at the Mission, your appetite may lure you to the El Charro Cafe, my favorite downtown dining spot in Tucson. This restaurant holds a unique title and is recognized as ‘The Nation&apos;s Oldest Mexican Restaurant’ in continuous operation by the same family (since 1922). Here fabulous carne seca (sun dried beef) melts in your mouth as you dine in the shadow of the old Presidio of Tucson. Legend says the Chimichanga was invented here, a lucky mistake, and a lusty story as well. Savor that history and wash it down with their Strawberry-Mint Margito, a sublime blend of margarita and mojito with fresh strawberry and sauza tequila, of course. This was part of Mexico from 1821-1854, after all. 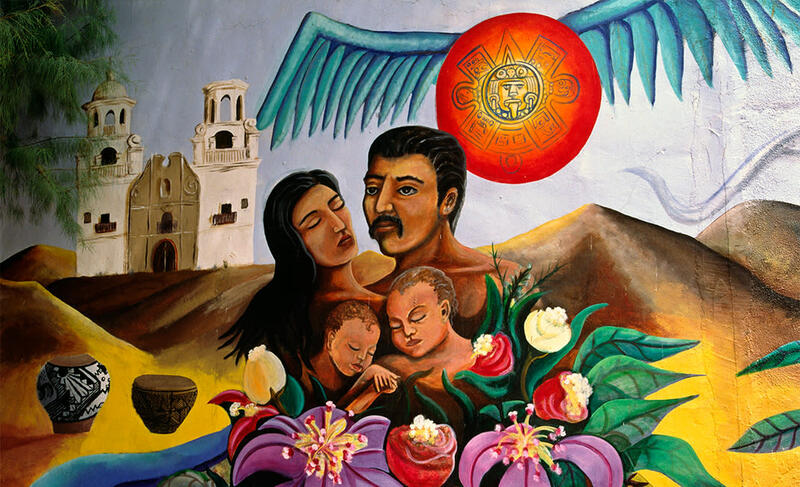 Thus fortified, a walking or slow driving tour of the nearby Barrio Historico District will reveal some lovely Hispanic-themed murals. 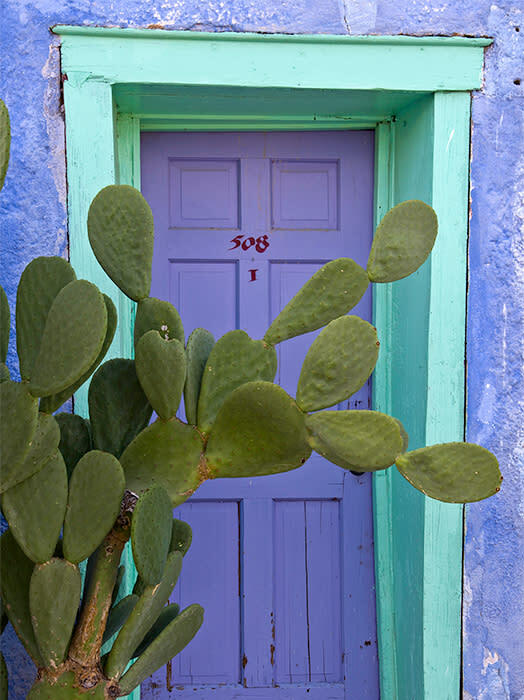 And strolling among the colorful vintage adobes will make you feel you&apos;ve returned to early days, when Spain and then briefly Mexico, dominated this slice of the New World. Late in the afternoon, head west on 22nd Street and wind around and up to the summit of Sentinel Peak, better known as ‘A’ Mountain, to watch as the sunset washes over Tucson.